One of the first in-depth traditional media stories on social media influencers was an interview of three important influencers, who happened to live together in the same building in Los Angeles. That interview aired on 60 Minutes on October 23, 2016. Nearly two years later, two of the three creators profiled in the 60 Minutes episode, Amanda Cerny and Andrew “King Bach” Bachelor, have partnered with Hollywood producer Lemuel Plummer and Emmy-nominated influencer DeStorm Power to launch a new subscription-based video-on-demand platform called The Zeus Network, which went live on July 13, 2018. Zeus is available on iOS and Android as well as on the network’s website at www.thezeusnetwork.com, and there are plans to make it available on all devices on which its subscribers might want to watch videos. Zeus currently offers a broad selection of series, including talk shows, fitness, scripted, and comedy shows created by Cerny, Bachelor, Power, and dozens of other social media influencers, and charges subscribers $3.99 per month. According to Zeus Chief Executive Officer Plummer, Zeus will enable creators to earn more than they might on the likes of Instagram or YouTube. 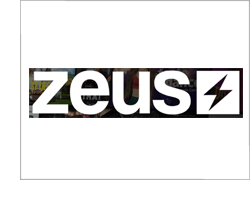 Zeus will provide its influencers total creative freedom, along with the resources to produce content in a more serialized, series-based, premium manner. From the company’s perspective, its sales and marketing costs will be a tiny fraction of the amount that it would ordinarily cost to reach the 120 million followers of all of its influencers. Zeus is not yet releasing its subscriber numbers, but the founders say that viewer and subscriber numbers since July 13 have exceeded expectations. Three weeks after the Zeus launch, on August 7, 2018, Hollywood titan Jeffrey Katzenberg (former partner of Steven Spielberg and David Geffen at DreamWorks) announced the $1 billion financing of start-up NewTV. NewTV, whose CEO will be former eBay and HP CEO Meg Whitman, plans to focus on short original programming designed for smartphones. The massive investor interest in NewTV is to some degree a validation of Zeus’s own focus on short-form content, though Plummer acknowledges that Katzenberg is in a league of his own. It is too early to tell if Zeus will be able to become Netflix for influencers, but we will be watching.